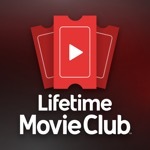 If you love Lifetime movies, then you need Lifetime Movie Club! For only $3.99/month, less than the price of one movie rental, get access to a great selection of Lifetime movies on your iPad, iPhone or iPod touch. There are no commercials and no cable or satellite subscription is required — just the movies you love, ready to stream anytime you need a fix. So kick off your shoes, get comfortable, and start your FREE 7-DAY TRIAL now! This app has a 4.0 star rating (228 ratings). It occupies the 25182th position in our ranking with 74 points. It is among the 1% best ones of its category and among the 1% best ones of the overall top.